zoegirl2003 has no other items for sale. Details about BRIGHTON Ladies Brown Leather Belt From "PATCHWORK" Collection NWT Retail $76. 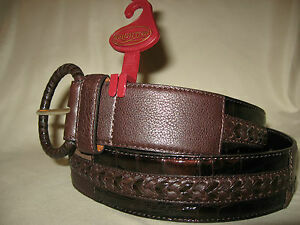 BRIGHTON Ladies Brown Leather Belt From "PATCHWORK" Collection NWT Retail $76.